Farrar, Janet, and Stewart Farrar. A Witches Bible Compleat. New York: Magickal Childe, 1984.
flying A belief during the witch hunts, that the DEVIL, his demons and witches could transport themselves and others through the air. 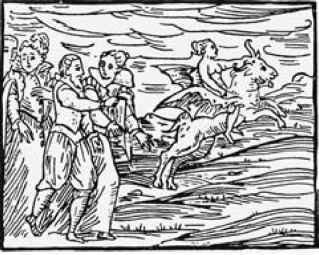 Flying (also called transvection) was done with the aid of a broom, fork or shovel, according to lore; some witches were said to ride demons who were transformed into animals such as goats, cows, horses and wolves (see metamorphosis). The Devil had the power to pick people up and whisk them through the air with no visible means of transport or support. While a popular belief, flying was not accepted universally during the centuries of witch-hunting in Europe. As early as the 10th century, flying was disputed as impossible. The Canon Episcopi said that if witches flew, it was in their imaginations. But in the late 15th century, the Malleus Maleficarum, the bible of witch-hunters and judges, lamented this "erroneous" view, saying it allowed witches to go unpunished. ing picked up in their sleep and flown through the air for miles. One 15th-century German priest claimed he saw a man "borne on high with his arms stretched out, shouting but not whimpering." The fellow, the priest said, had been drinking beer with friends. One of the men went fetch more beer, but upon opening the door of the tavern, saw a mysterious cloud, became frightened and refused to go. The man who was picked up and flown said he would go instead, "even if the Devil were there." Witches, sorcerers and necromancers were said to be able to fly with the help of magical ointments consisting mostly of baby fat that had been boiled off the limbs of a young child who had been killed before baptism. Such ointments also contained various herbs and drugs, which doubtless put witches into hallucinatory states in which they really believed they were flying. 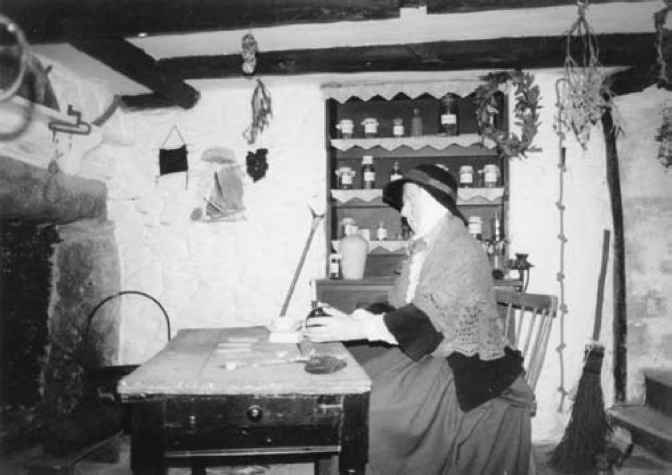 One witch in Italy in 1560 rubbed herself with ointment and went into a trance. When she came out of it, she said she had been flying over mountains and seas. In 14th-century Italy, necromancers reportedly made beds fly with magical INCANTATioNs. The speed of flight was great, and novices were prone to fall off their forks or broomsticks. Sometimes the demons who rode with them pushed them off. One story tells of a German man who convinced a sorcerer to fly him to a sABBAT. En route, the sorcerer threw him off the broom. The man fell into a strange country that was so far away, it took him three years to get home. Church BELLs were supposed to be able to ground brooms, and in some towns, the church bells were run constantly during witch festivals to prevent witches from flying overhead. While some demonologists and inquisitors did not believe that witches could actually fly, they accepted confessions of it, reasoning that if witches thought they could fly, it was just as incriminating as if they actually did so. Many witches did confess to flying. Some said it was possible to fly either bodily or by imagination. If a witch wanted to observe a sabbat without actually being there, all she had to do was lie down on her left side and breathe out a blue vapor, in which she could watch the activities—a medieval version of clairvoyance. 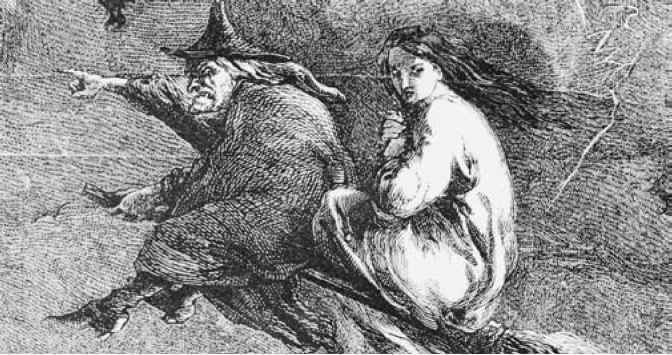 Flying is not mentioned much in English cases of witches. The various witchcraft acts in effect between 1542 and 1736 outlawed many witchcraft practices but did not prohibit flying. Magical and mystical flight. 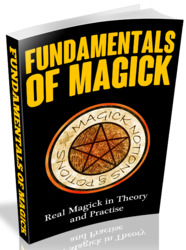 Various magical and spiritual disciplines place importance on the ability to fly. The act of flying is not as important as what the flying signifies: the soul's breaking free of the bonds of earth and soaring into the cosmos, accessing realms that others reach only through death. Flying is a transcendent experience, a flight of the spirit.